Koyna Wildlife Sanctuary is the Unesco’s world heritage site located in the dense forest of Satara district of western Maharashtra. If you are in search of complete relaxation and want to go away from your cities concrete jungle then this is the ultimate choice for you. Some people consider it as a weekend destination, some called it as a romantic place, for trekkers it is the ultimate trekking attraction, but in reality, it is purely untouched paradise. 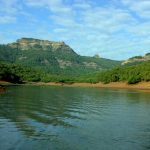 On the one side, there are magnificent Sahyadri mountains range while on another side beautiful Shivsagar reservoir gives you one of the most memorable experiences in your life. Visitors can visit this forest between 7:00 AM to 6:00 PM. Festival days may affect the timings. Visitors required a day to explore all the attractions in the sanctuary. Rs. 20 has been charged as an entry fee for this tropical forest. If you have your car then you have to pay more 50 rupees as an entry fee for the car. If you want to go for boating in Koyna river then you need to pay Rs. 400 apart from entry fees. The dense green forest looks more pleasant during monsoon. June to February is the best time to visit Koyna Wildlife Sanctuary. Try to avoid visiting during summers. Also, avoid visiting at the time of heavy rain. 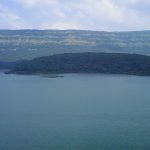 As there is a chance of flood causes due to Koyna Dam. You can also visit this place, especially between September and October. Flowers are blooming during this month at Kaas plateau. Kaas plateau is another world heritage attraction near Satara. How To Reach Koyna Wildlife Sanctuary? By Road: Mukhdev Bus Stop is the nearest bus stop and it around 14 kilometers from the sanctuary. The nearest big city is Satara and it is situated at the distance of 80 kilometers from this forest. If you are coming from Satara then you need to use state highway 58 and tapola road. Pune To Koyna Wildlife Sanctuary: Visitors which are coming from Pune reach here via 3 different routes. The fastest and shortest route is via national highway 48. Travelers need to cross the distance of 147 kilometers via this route. NH-48 and Tapola road is the best route to reach here from Pune. Mumbai To Koyna Wildlife Sanctuary: If you are coming from Mumbai then the best way is the Mumbai-Pune express highway. Reach Pune using this route, then from Pune follow the above-mentioned route to reach here. By Train: The nearest railway station is Satara railway station which is located around 86 kilometers from this forest. You can come by road from Satara. By Air: Pune international airport is the nearest airport and it is 184 kilometers away from the sanctuary. The sanctuary has spread in the large area of 426 square kilometers and it is surrounded by Sahyadris western ghat range which is known for its diversity. This huge area of 426 sq. km made it as one of the biggest sanctuaries in India. This sanctuary is situated on the banks of the Shivsagar water reservoir behind the Koyna dam wall. This quiet and peaceful dense forest is well known for its Phenomenal wildlife and picturesque surroundings. It is situated in the Sahyadri mountain range at the altitude ranging from 600 meters to 1100 meters. The highest place of the sanctuary is Vasota fort and it is located at the elevation of 1100 meter from the sea level. Maharakhore, Vasota and Mait Indwali are the main divisions of this forest. There are different kinds of rare and herbal plant species are found here. There are some amazing trekking destinations like Vasota, Jaigarh, Madhumakrandgarh, Bhairavgarh present inside this forest. Every year trekkers come here in huge number to visit these places. Non-veg food, firecrackers, weapons are not allowed inside the forest. There are 215 windmills and 10 tourist resorts are present here. It is maintained by Maharashtra State Forest Department. The Government of Maharashtra had declared this forest as a wildlife sanctuary in the year 1985. Now the government is trying to get the status of “Tiger Reserve” for this adobe of wild animals.